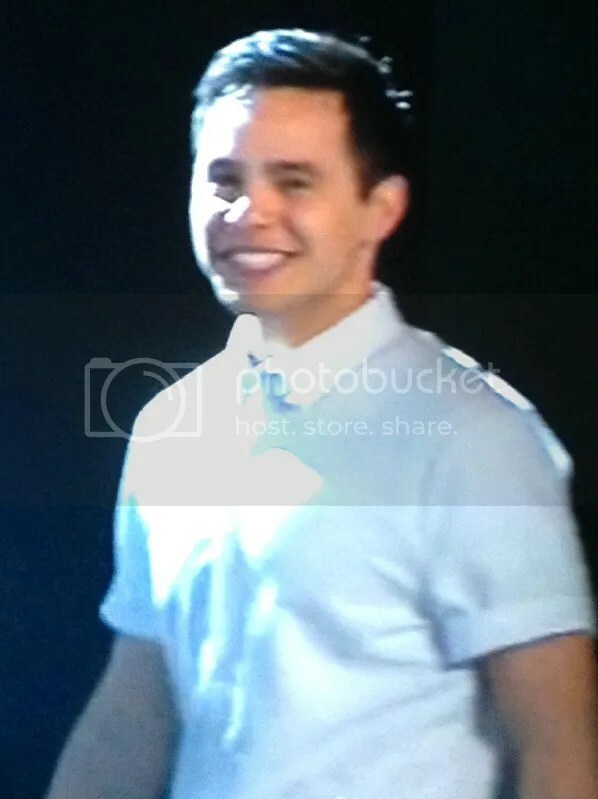 « Jan’s recaps: 3 David Archuleta concerts in 4 days! 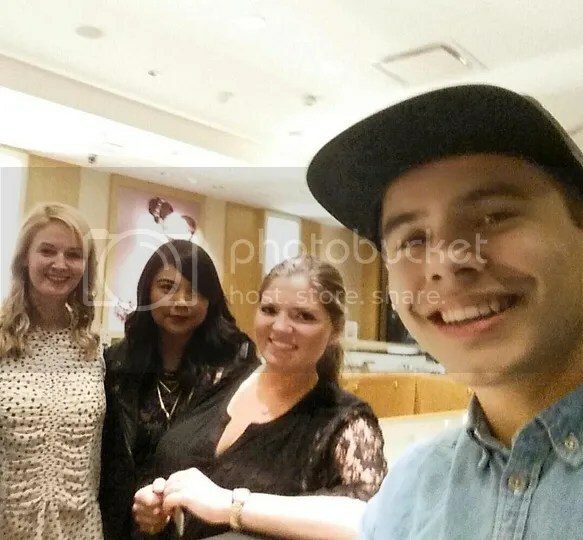 This entry was posted on Thursday, April 7, 2016 at 1:20 PM	and is filed under @DavidArchie, @ginaorr, @kariontour, American Idol, Appreciation, Archies, David Archuleta, Musical icon, Season 7, The Voice, Uncategorized. 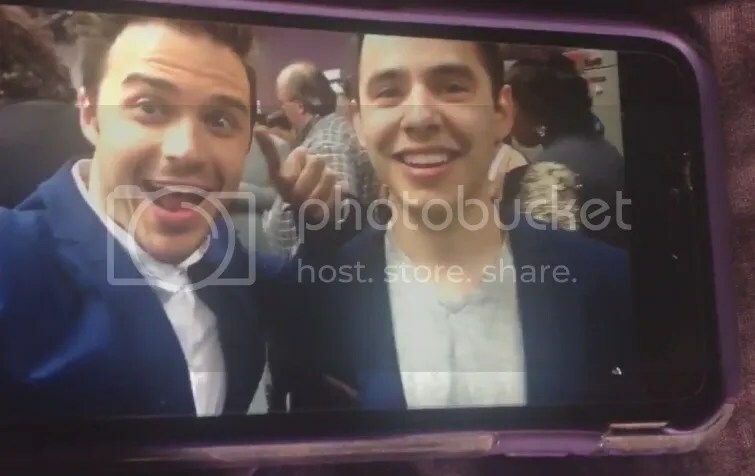 Tagged: @DavidArchie, American Idol Finale, David Archuleta, David Archuleta rocks! :), Gotta love him, Imagine, Melinda Doolittle, music, Season 7, The best is yet to come, the Voice. You can follow any responses to this entry through the RSS 2.0 feed. You can leave a response, or trackback from your own site. Had to bring this over from last post. I need to document this first in my life, right here. My daughter just came in my room and asked me if David was going to sing tonight on American Idol. I explained that he was late to accept and so he will join others on stage and will not sing solo. S>T>U>N>N>E>D>!!! In all 8 years she has never brought him up. Despite all my yammering about him and putting up tour posters all over my room. Abrra, wow. I’ve been asked by so many people these last couple of days that getting my work done has been a challenge haha. David deleted the above tweet in response to Deb’s tweet. I understand why hahaha. dizzyfeet (Nigel) wanted David to sing imagine again. @Carolinacharms he was unavailable I wanted him to sing "Imagine." Then he turned up? @ginaorr @dizzyfeet @DavidArchie Yay! Imagine (all 3 times) def. great "moments" but would've loved to hear him sing something else tbh. This from JambaJim!!! David Archuleta! David is talking to someone in the background. And a brief glimpse in this one. American Idol Finale? More like American Idol FINALLY. I haven't watched that show since David Archuleta tragically lost in like 2007. David on the bottom picture for hair and makeup. So group number? This is a cool before and after. Shocked that Rodney included David! 13- “Crush” David Archuleta. The nicest, sweetest kid to ever come out of the show. This song fit him well. MTV!!!!! Go check out the link at the bottom for all graphics they included in this write up! WHAT HAS DAVID ARCHULETA BEEN UP TO SINCE AMERICAN IDOL? When the American Idol series finale airs tonight (April 7), the last singing superstar on the long-running talent competition will be crowned. But while the rest of the country wonders if Trent Harmon or La’Porsha Renae will win, I’m more interested in what became of Season 7’s runner-up, David Archuleta. 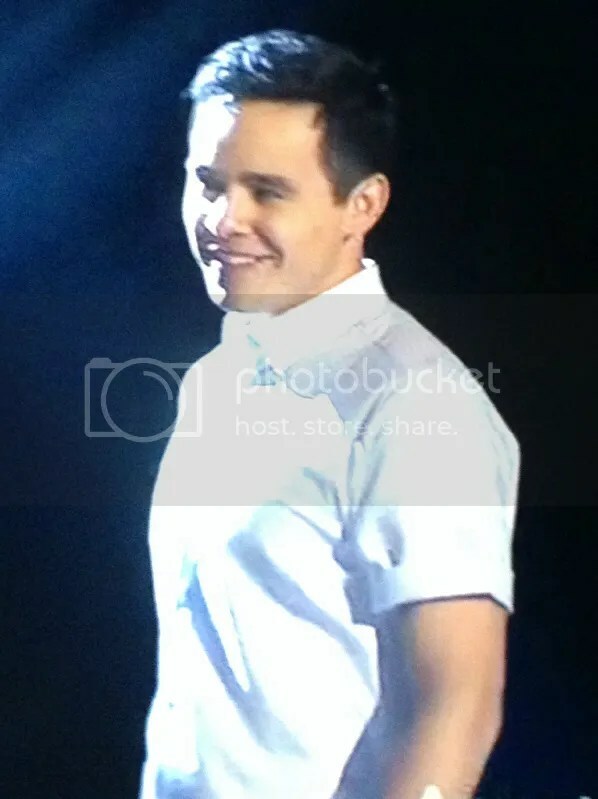 Though he lost to David Cook, Archuleta was a fan favorite throughout the season from the time he first auditioned at 16 years old singing “Waiting on the World to Change” by John Mayer. Years later, Archuelta is still doing what he does best. Since 2008, he’s released six albums, the most recent one being No Matter How Far in 2013. According to his website, his fourth album, Forevermore, was released exclusively in the Philippines, which explains why he’s such a mega celebrity in that country. In 2012, he starred in a Filipino TV show titled Nandito Ako. The mini-series followed Josh Bradley (Archuleta), a singing superstar who traveled back to the Philippines in search of his mother who supposedly died in a fire years ago. But even more interesting than that, Archuleta dropped everything to serve The Church of Jesus Christ of Latter-day Saints for two years as a missionary in Santiago, Chile, returning to the U.S. in 2014. Now, he’s back at it again with the jams. The 25-year-old has performed for U.S. troops in the Middle East and is writing more original music to hopefully be released later this year. And of course, he’s still really into Pokémon (because duh), as evidenced by some of his recent tweets and ’grams. EVEN BETTER, HE REUNITED WITH SEASON 6 WINNER JORDIN SPARKS AS THEY HELPED CELEBRATE IDOL’S FINALE. IN NON-POKÉMON-RELATED NEWS, ARCHULETA IS PERFORMING SEVERAL SHOWS IN THE COMING MONTHS IN BOTH SLOVENIA AND THE U.S. There is a @davidarchie twitter explosion with all sorts of online media tweeting the MTV article about David!!!!! I can’t keep up!!!! A lucky fan is going tonight! Glimpses and at the end! Another memory of David shared. Dressing room clip of the Davids. BWAAAAHHHHHHHHHHH Remember underwater concerts at Rickey’s ? Glimpses of David about to go on stage thru periscope! Those 5 seconds caused a twitter explosion!!! My head is spinning! The opening song. David is there for a short time. If you want to save David’s last appearance on AI15,I captured the opening group song. AI15 Periscope backstage before the opening song. haha it’s like wearing Beer Goggles. Blurrryyy! This is from a snapchat. If it’s yours let me know! Well if you blinked you missed David lol I’m so happy that in every source of media where David appears he looks happy to be there. Seeing and catching up with those who share his experience must have been a great feeling. Glad for all the behind the scene photos of David. That 3 seconds on stage was not enough!!! Dja, I agree. I watched it every year, I think from habit and tonight was not impressed either. My favorite parts was David at the beginning and David in the Ford commercials! 🙂 I did like the wgwg’s. They were pretty good. Otherwise, there was too much makeup, stupid hairdos and not singing good like David! 🙂 Glad that Trent won…his favorite past Idol contestant is David. Maybe I can let the AI thing go now. There was a big change in my life 8 yrs ago and David opened up a new world for me. I have enjoyed it all and will continue to follow David as long as he sings. American Idol posted an HD version of the opening. A fan friend, Reina sent me scream caps to share. I agree. To me, David is the best looking guy on any stage he graces. The guy on the left actually took a picture with David, surprised. I saw these and thought they were so good I’d share. I doubt they’ll post, maybe an admin can bring them? So happy David went to the after party! What a reunion of #EPIC proportions last night at the @americanidol series finalé wrap party! It's been an honor and privilege to be a part of this incredible "talent-yielding" machine. I owe all that I've been able to do these days to that phone call I got 13 years ago to join the #AmericanIdol team! Thanks for taking a chance on me and I'll never forget our journey!! Here's to the next chapter….! And thx @locabonilla for staying at the party for the entire evening, you #Rock!!!! Just posted today. This is the talk David gave in last year in NZ and Australia. 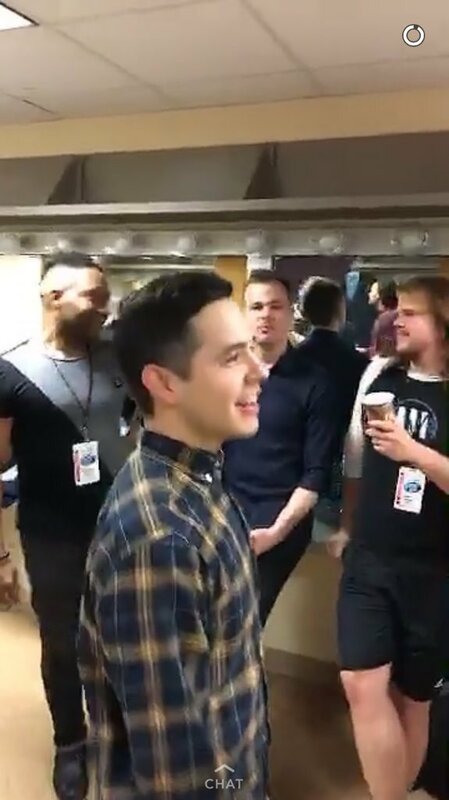 Last summer, we invited vocalist David Archuleta to join us for our Time Out for Women (TOFW) events in Sydney, Australia and Auckland, New Zealand, and we were thrilled when he was able to join us for some more performances in the U.S. this year! And since we couldn’t put you in our suitcases to make the trip overseas, we wanted to give you a sneak peek before his first U.S. TOFW event in Orlando! Abrra #56 …. sweeet! Thank you!! I have no proof other than what my eyes tell me, but I think having the Idols all in white helps to see their face better on camera. Your eyes go to the face, not the clothes. Today is Lupe’s birthday (also my grandson turns 18) and a fan let the cat out of the bag on David’s gift to her It’s a private account and I cannot embed the post. I saved the pictures from Just Jared. I’ll be adding new pics to the sidebar soon and will be sure to include a few of those from red carpet. Abrra: can I just say that I am so glad this all happened this year and not last. This year he is able to show up, be relaxed, nod to the cameras, hug people, be present: all the things that he would have done before – yet struggled with, and could not have done at all last year. I miss the “cute” teen – like I miss my own kids teen years – no problem there. I love the DA now, and all that is now available to him, both from the world without and from his world within. David responds to those asking for him to sing.